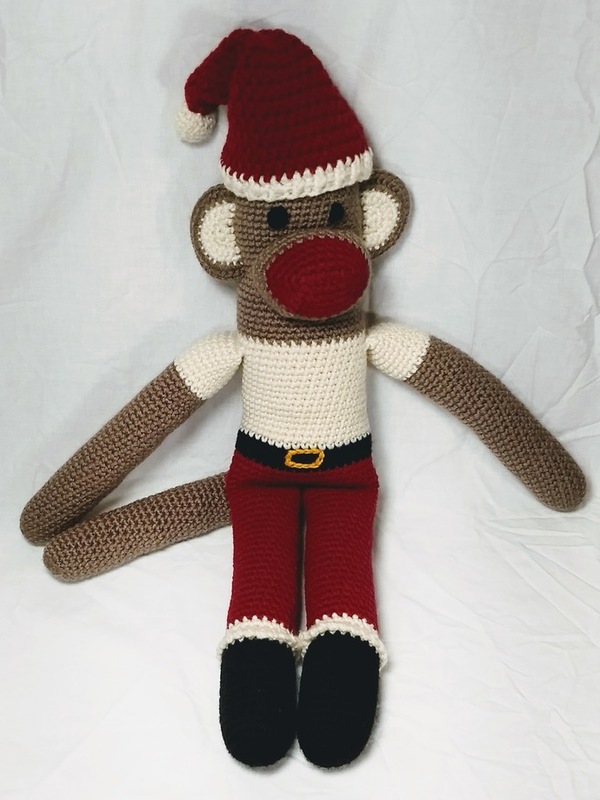 This monkey is dressed and ready to shimmy down the chimney, but I bet he'd rather help you eat milk and cookies. 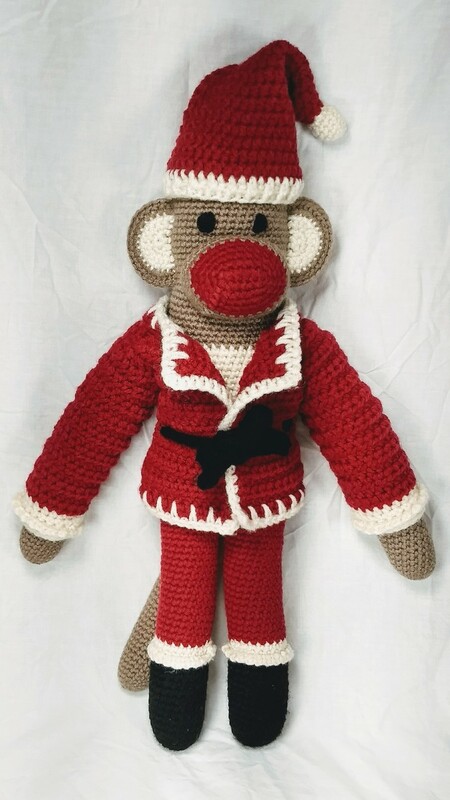 Santa Monkey wears jolly red pants with a removable coat and hat trimmed in ivory. Under his coat you'll find a black belt with a gold buckle and a crisp ivory shirt. 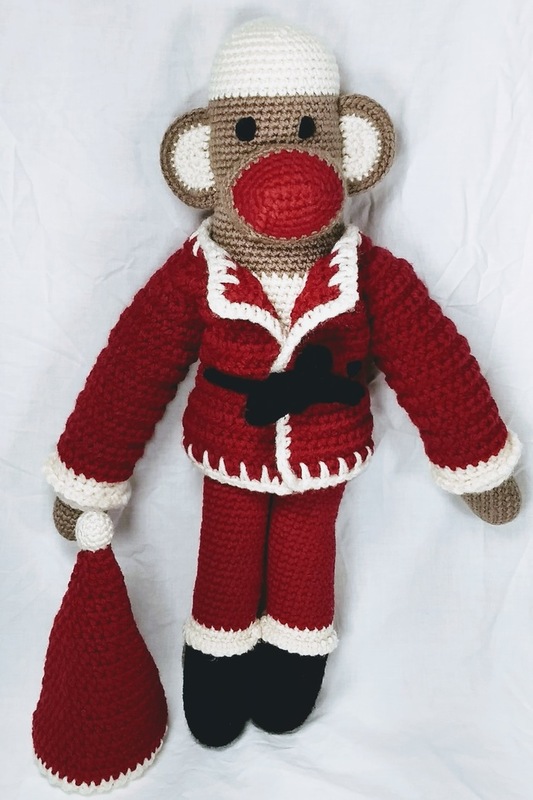 Like all my monkeys, Santa stands about 18 inches tall without his hat. 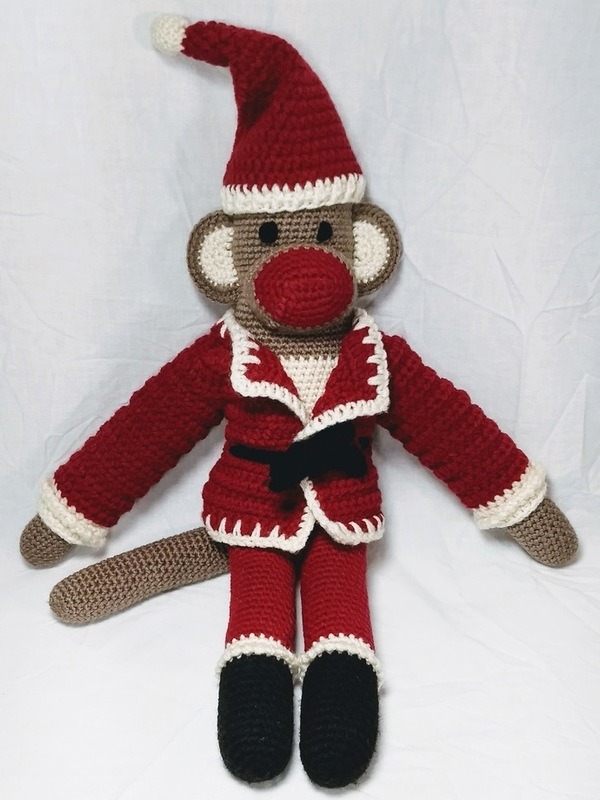 Santa Monkey is made of machine washable acrylic yarn for easy care in case of cookie catastrophes. 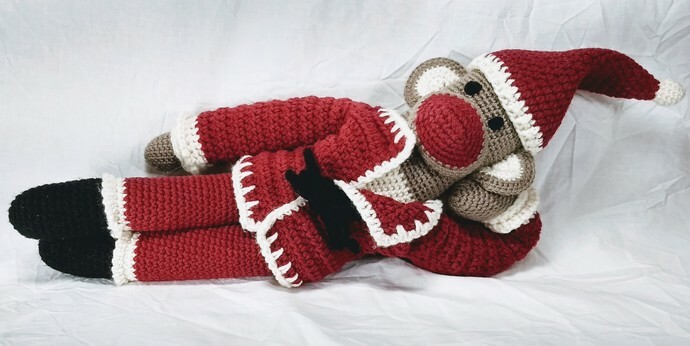 Santa is made entirely of yarn and stuffing with no hard plastic parts for baby to tear off and swallow. 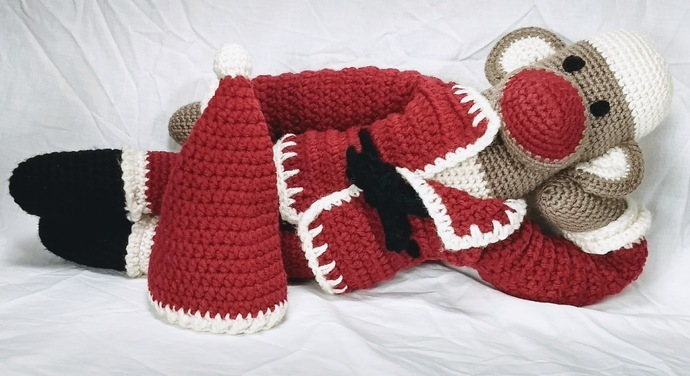 The faux pom pom atop Santa's hat is crocheted, not made of short pieces of yarn that can be pulled apart. 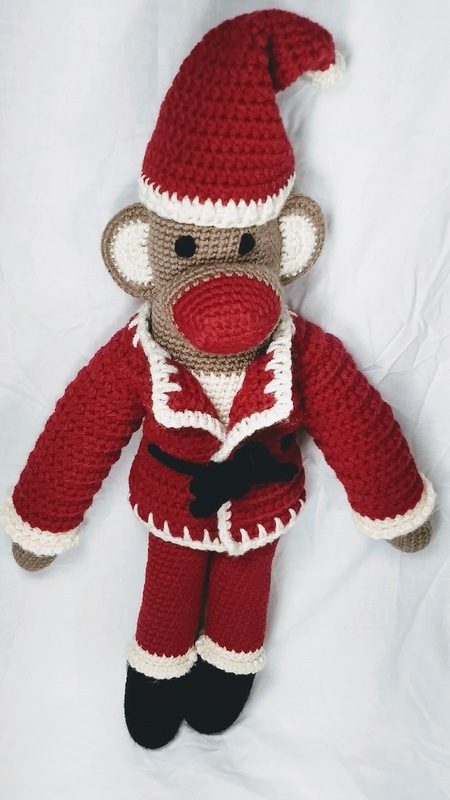 Monkeys destined for US addresses ship via Priority Mail, so there is still time to receive this monkey before Christmas.